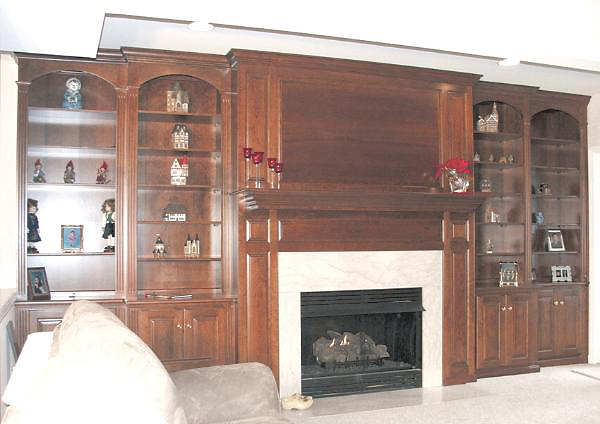 Enjoy specialized cabinets to highlight your fireplace from T. L. King Cabinetmakers. Fireplace cabinetry from T.L. King Cabinetmakers uses the beauty of elegant woodworking to enrich and embellish living rooms, bedrooms and home offices. 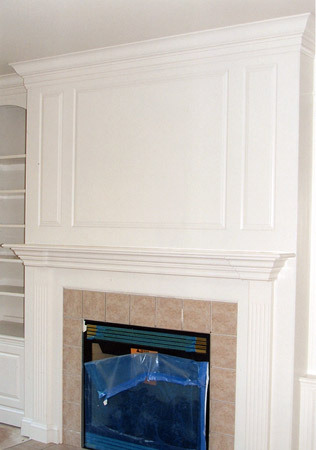 This custom design feature helps transform ordinary fireplaces into spectacular settings for relaxation and entertaining. If you haven't already considered adding lovely fireplace wall cabinets to your home or stunning built in bookcases around fireplace mantels, you'll want to explore these options soon. 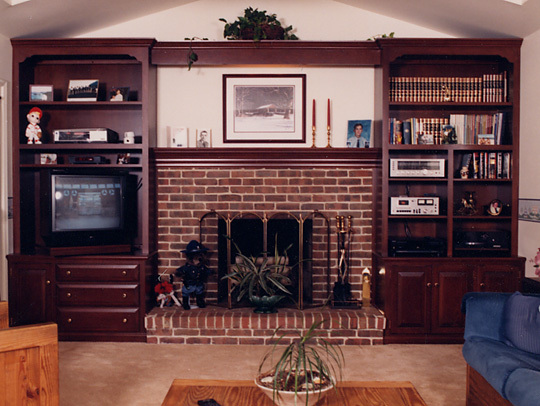 When Southeastern Pennsylvania and Western Delaware endure chill gusts of icy wind, your household will appreciate your decision to invest in stylish built in wall units with fireplace amenities. 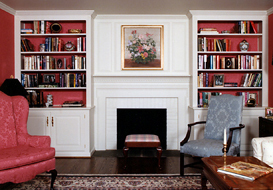 The warmth provided by a fireplace offers particular comfort during winter. This region sometimes experiences bitterly cold, harsh seasonal conditions. 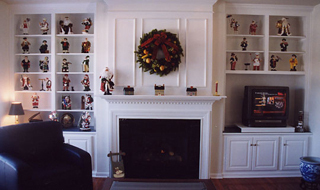 Promote a welcoming environment within your home by making your hearth a pleasant gathering place for family members and visitors to warm themselves indoors. Select attractive mantles and fireplace cabinets, bookcases and shelving. 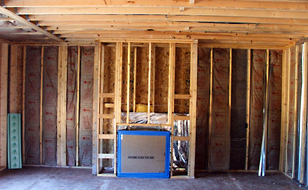 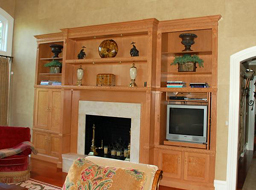 Fine carpentry offers a valuable means of customizing and upgrading living environments. 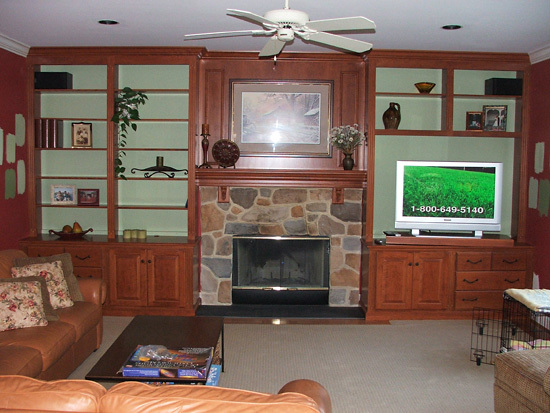 For instance, T.L. 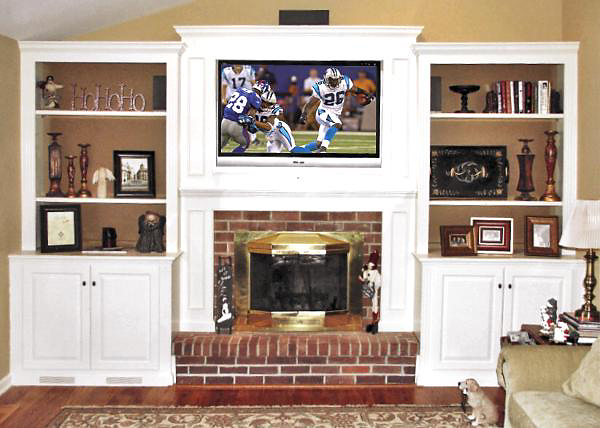 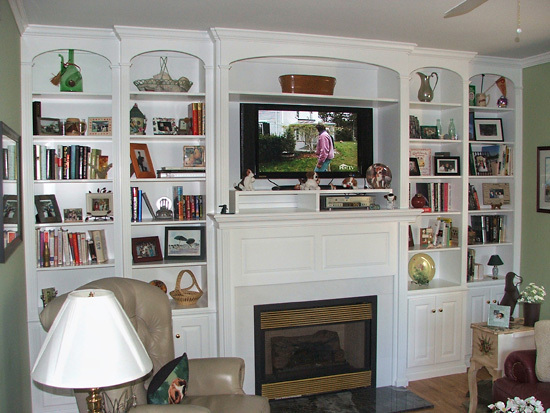 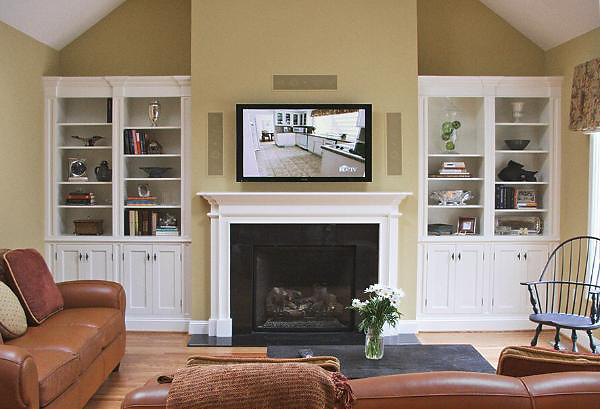 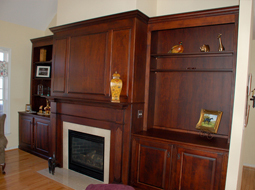 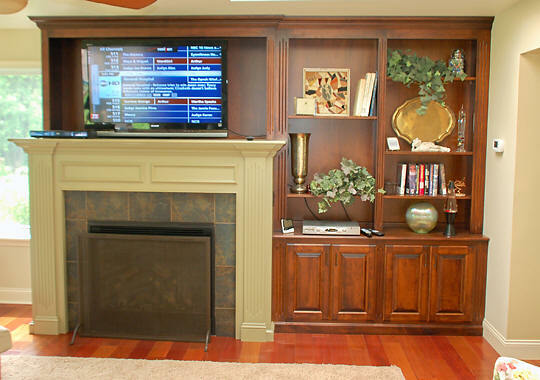 King Cabinetmakers creates cabinets around fireplaces to increase available display shelving or supply extra storage. 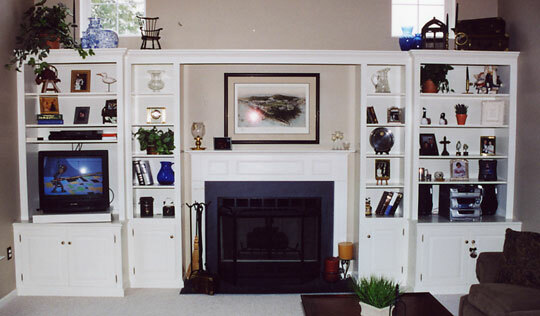 Whether you commission built in bookcases around fireplace fixtures or you seek new fireplace cabinets to stock china, linen or other articles, you'll notice the convenience supplied by additional shelving. 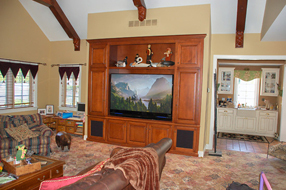 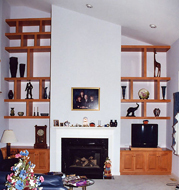 Our custom wall units significantly increase available shelf space within a room. We offer an in-demand amenity which ultimately contributes value to the residence. 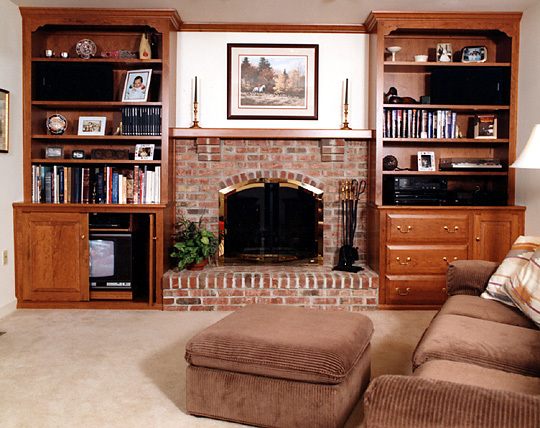 Today, many households benefit from the addition of finely crafted built in bookcases around fireplaces. These locations enable the creation of beautiful custom home libraries. 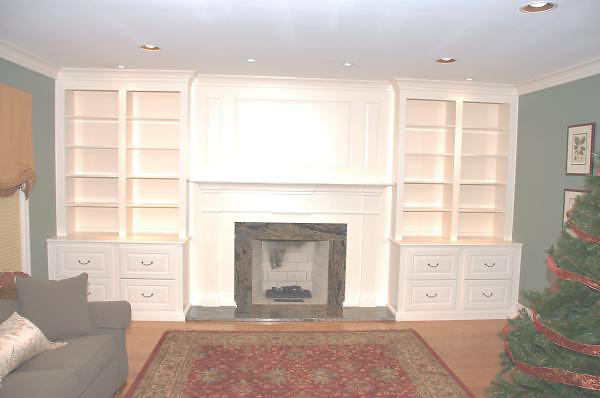 They may supply extra space for the addition of media centers and games, too. Some customers display art work, treasured collections, or beloved family heirlooms with the assistance of our finely crafted shelving. Our craftsmen will tailor these units to fit your interior decor preferences. 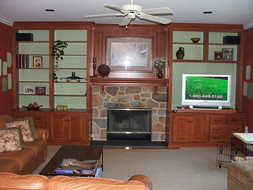 Simply let us know the carpentry style, materials and finishes you prefer. 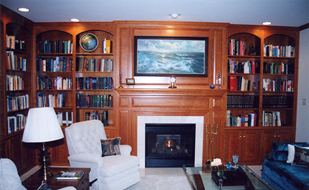 For example, we can treat customized bookcases using transparent glossy stains to highlight the fine grains and natural tones within the wood. 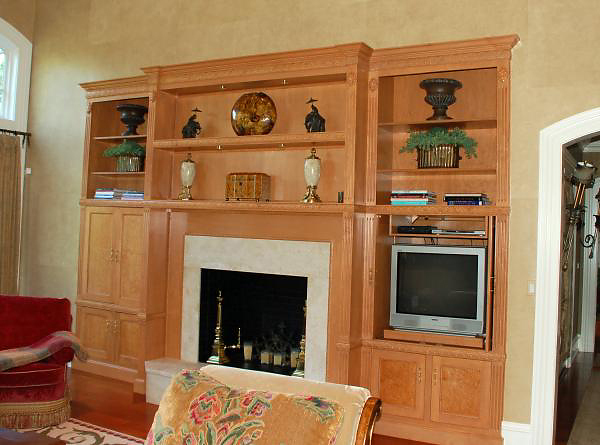 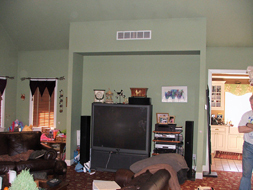 You can also request finishes in solid paint colors, such as White or Mahogany. 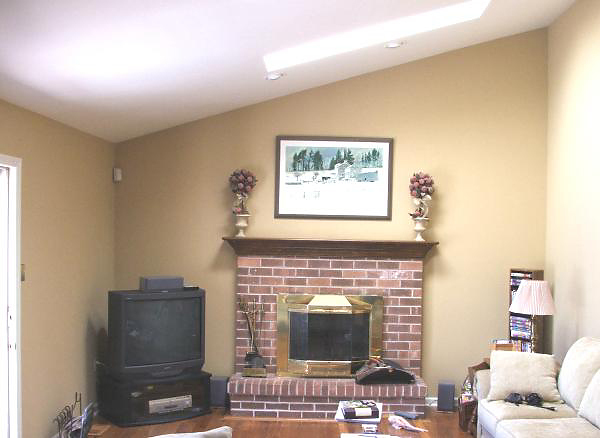 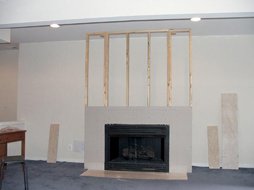 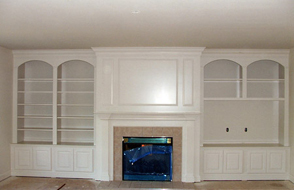 We assist customers across a wide geographic area looking for fireplace wall cabinets. 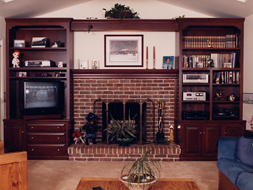 From Norristown, PA to Wilmington, DE our Cochranville, PA-based company works within a broad region. We undertake fireplace cabinetry projects in communities in many parts of Montgomery, Chester and Delaware Counties including Media and Newtown Square. 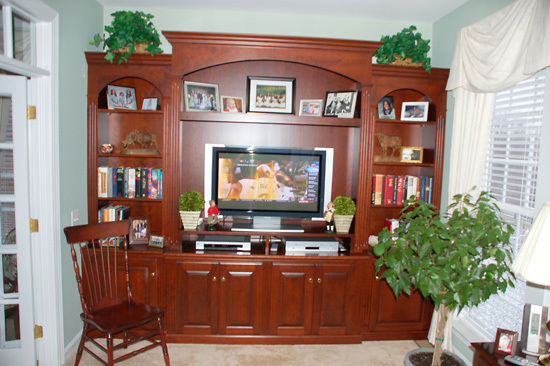 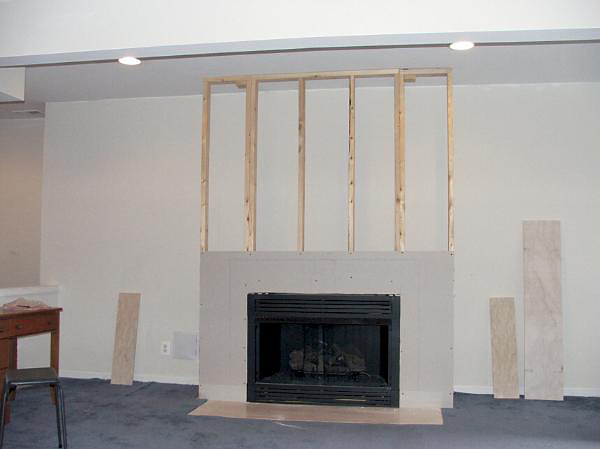 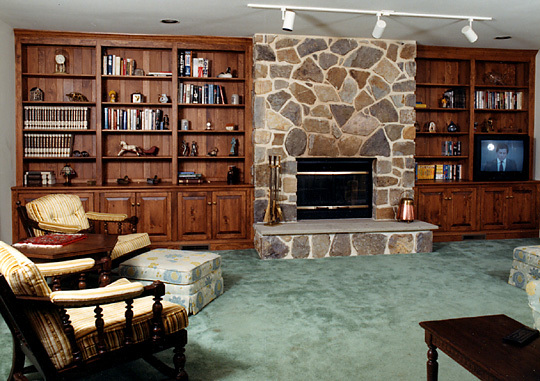 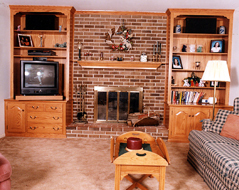 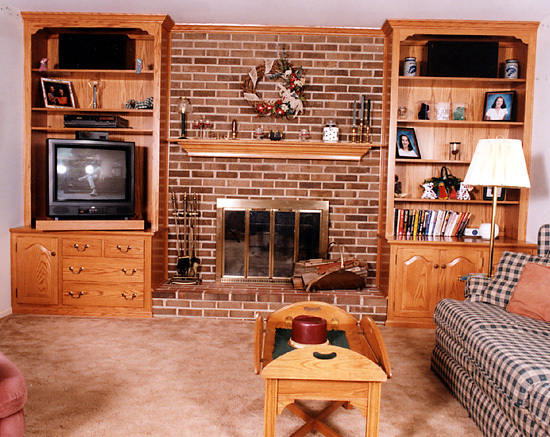 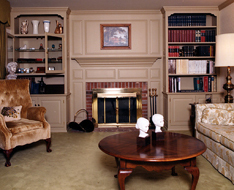 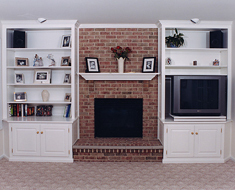 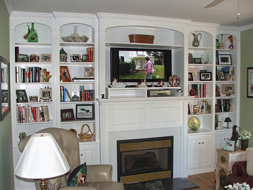 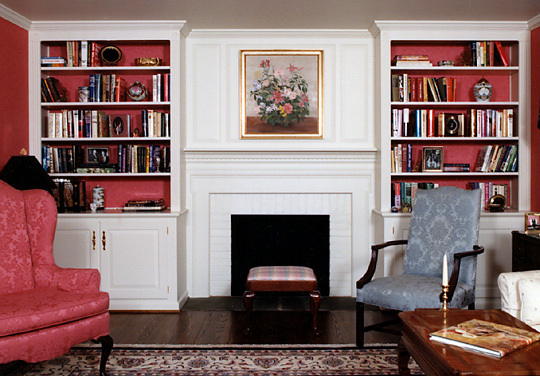 Contact us to obtain customized bookcases or cabinets around fireplaces in one or more rooms of your home. 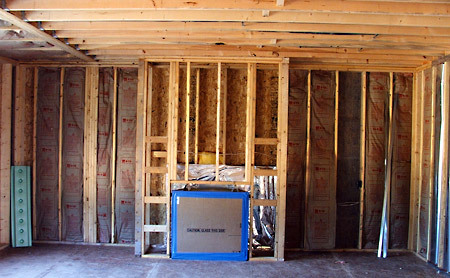 We'll help tailor these built in features to enhance your real estate. 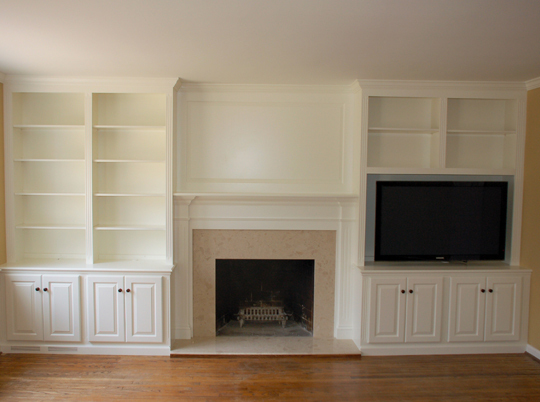 We also build elegant units to customize and distinguish properties in new developments.